.Professional teeth whitening supervised by Dr. Jamie Alexander in our Boynton Beach dental office will safely lighten the color of your teeth and give you a younger appearing, more confident smile. Is Professional Teeth Whitening Best for You? 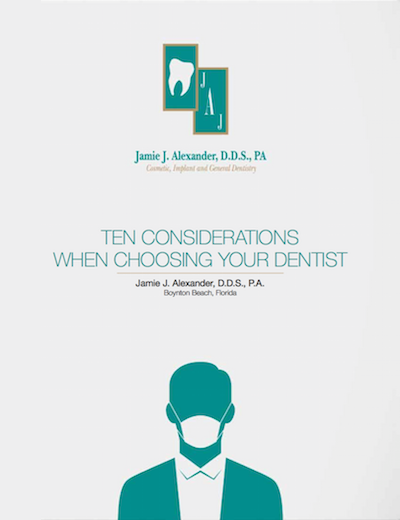 Depending on your objectives, Dr. Alexander recommends one of two methods. The first method is a one-session, in-office professional teeth whitening procedure that takes about an hour. 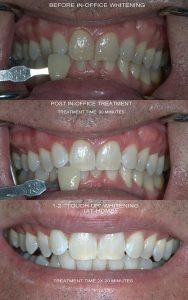 The second method is a less expensive at-home procedure that involves wearing lightweight bleaching trays (one upper and one lower) that are custom made to fit over your teeth. We provide you a bleaching gel and educate you how to apply it to the inside of the trays. Our office also provides detailed written instructions on how long to wear the trays each day and for how many days (often 1 to 2 weeks). 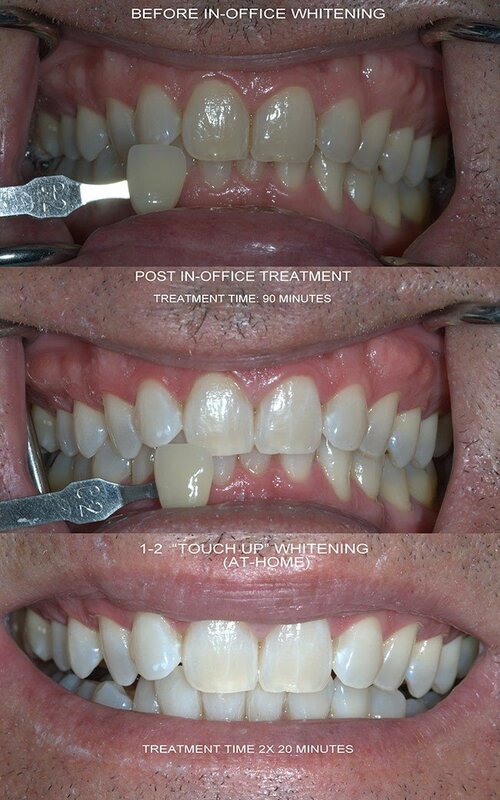 We exclusively use Ultradent’s Opalescence Products for both our in-office and at-home treatments. Successful results can be achieved with either method; however, many patients are attracted to the immediacy of our in-office system. With either option, you can take advantage of our White for Life program! What if your teeth are sensitive? If you have been reluctant to whiten your teeth because you have experienced tooth sensitivity but want a whiter, brighter smile, Dr. Alexander has a variety of methods to successfully manage cosmetic solutions for sensitive teeth, including composite bonding and veneers. Together you may also find a bleaching solution that works for you. What if you have persistent discoloration? If you have intrinsic discoloration inside a tooth or a stain that cannot be removed with professional teeth whitening, consult with Dr. Alexander about treatment options so all of your teeth will match your lighter, brighter shade. Composite bonding and porcelain are two options that are commonly used. They can be color matched to the color achieved on your other teeth. Today’s dental veneers require minimal prep, emulate natural tooth enamel for optimal appearance, and can last decades. Are you ready for a whiter, brighter smile? We invite you to give us a call today at 561-732-8877, or ask us about professional teeth whitening at your next scheduled appointment.